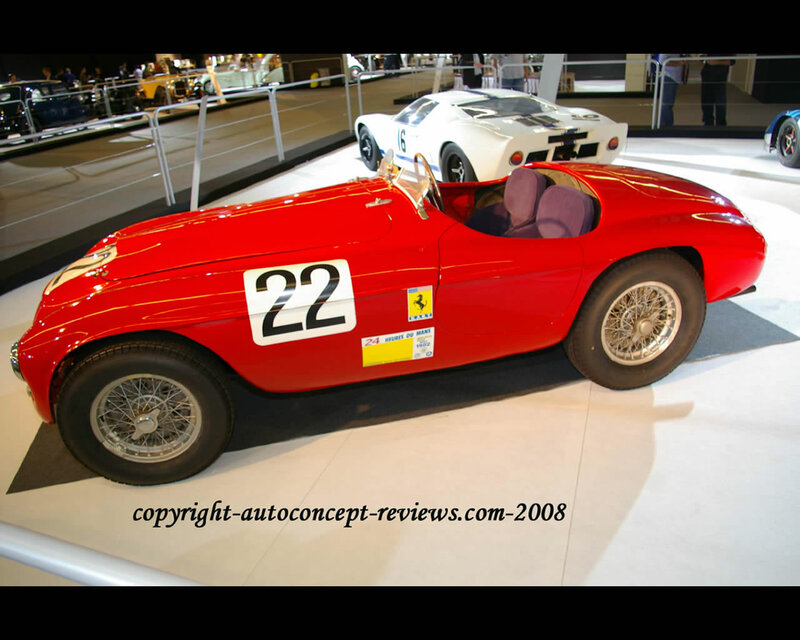 The Ferrari 166MM is the first Ferrari produced and sold by Enzo Ferrari. MM makes reference to its victory at Mille Miglia racing event. 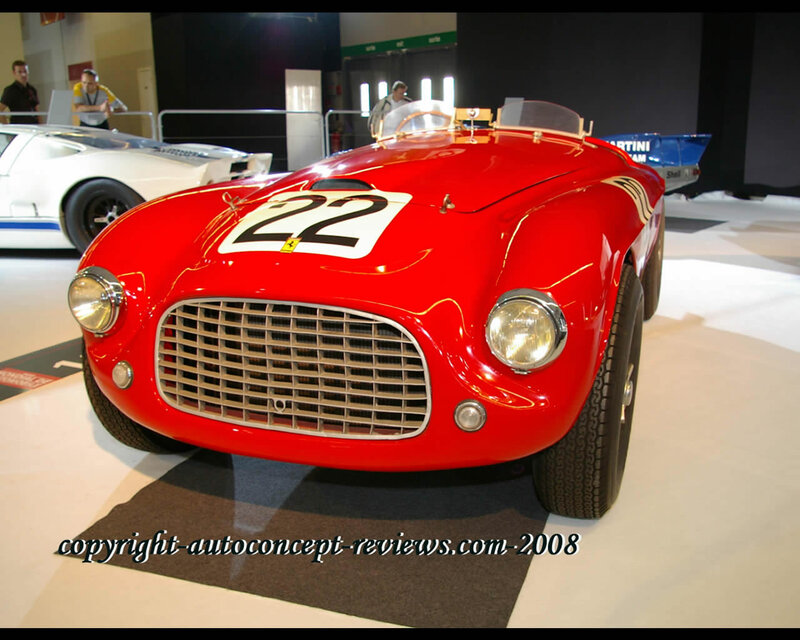 This model won the 24 hours of Le Mans in 1949 with Luigi Chinetti and Lord Selsdon at the wheel. Engine: V12, twin overhead camshafts. Three twin corp carburetors, 1995 cc., 130 hp. Transmission to the rear wheels by rigid axle with a four speed gearbox. Steel tubular space frame with aluminium body by Touring coachbuilder. This model given by Luigi Chinetti is exposed at Musée de l'Automobile de la Sarthre.